Category Archives for "Community Development"
I received an email from Paul King, who had downloaded my ebook, “Community Development is Dead: Long Live Community Development”. See below if you would like to download the ebook. In his email he offers a few reflections on community development in his experience. I reproduce it here with his permission. I downloaded your ebook out of curiosity, because I am engaged both politically and ecclesiastically in forms of community development – though not necessarily along your lines. When training in 1960/61 to be an education officer in the Colonial Civil Service I was introduced to TR Batten (see the comments), whom you refer to a little. The context then was encouragement and facilitating community development both in rural life based on subsistence farming and in urban areas made up of people who had come to town in search of a better life – sometimes finding it, sometimes not. A grotesque feature of the urban areas was that social welfare was financed in part through profits from ‘beer halls- crude sheds for the dispensing of ‘cibuku’. Because I was actually appointed to teach French in the country’s leading high school for African men and boys, I did not refer again to Batten. My second brush with community development was in Stoke on Trent 1970-75 when, as a Methodist minister, I found myself collaborating to some degree with the post-Seebohm social workers and with an over-elaborate good neighbour scheme. This was at the end of the pits and pots culture which has now largely evaporated, I think. Now, In Chesterfield in retirement I am both Secretary of Christians Together for Chesterfield and Membership officer of the local Liberal Democrats, where the sustaining and fostering of community relations comes under both my hats. Chesterfield is a fairly neighbourly place, dating from the same pits and pots culture of 1970 Stoke, but its bourgeois estates are not strong on community except where a fellow I know in the Libdems is running a Facebook for his estate and has 90 members. So I am not much use to you, I fear, with your interest more in community development in economic terms. But have you met the Sheffield Local Renewable Energy people? They sound to be barking up the same tree as you. It’s great to receive emails like this and if you have similar stories to share, please comment on this post. Or if you would like to publish a guest post, to share your story, please let me know. 0	Are Community Development Workers Consultants? This blog connects a unique range of topics from website design to marketing to consultancy to community development. This feedback appeared in my inbox this week, asking: are community development workers consultants? I know your blogs have included ruminations on the subject of consultants and consultancy. I suspect that the research being carried out by IVAR (Institute for Voluntary Action Research) will raise – if only by implication – the issue of the relationship between consultancy and community development. It might be interesting and helpful to look at this relationship; to look at the relationship between the role of consultants (your definition and others’ definitions) and the role of community development workers. My suspicion is that there are some people, formerly CD workers, who are now consultants for organisations such as Big Local, who would claim to be still doing CD but in fact are no longer doing CD. Consultancy can be helpful, and so can CD, but claiming to do CD when you are not doing CD is probably not helpful. The following thoughts are from my definition of consultancy. I don’t follow IVAR/Big Local. Do they employ their workers as consultants or community development workers? Either way the question may be: are they doing community development? My post about imbricated roles may help. I have occasionally mentioned two types of consultancy, expert and non-directive (or coaching). Organisations hire expert consultants to contribute specific skills. So, a website designer or accountant are in effect expert consultants. They offer a Done-for-You service and so usually save time and money. Non-directive consultants help organisations by thinking through solutions to problems with them. They in effect add brain power. Their aim is to help at least one member of the organisation to learn new skills. Of these two approaches (both have their strengths), the second is most compatible with community development. Development workers used to say they are appointed to work themselves out of their job. A claim I suspect most often honoured in its breach. There is no doubt coaching is an appropriate approach to community development. It benefits local activists because it equips them to do the work they need to do to further their aims. It is certainly superior to training, a skillset that usually prioritises accreditation of activists. Is there more to community development than coaching? With a degree of caution I incline to the view activities beyond coaching are not essential. Why? Most other skills are more like expert consultancy, doing things for others. If you are good at and enjoy organising meetings, the chances are your aptitude for that task may prevent you from coaching. But I am not saying coaching and community development are the same. Good development workers are coaches. But not all coaches are development workers. Experience in the field is important. Many coaches might cope and do well in a community development project but experience of working with the unique pressures of development work also counts for something. Has this post been helpful? Leave a comment if you would like me to write more about this topic. 9	What Are Community Assets? Community organisations view ownership of community assets as something of the Holy Grail of community development, although in practice they can be something of a mixed blessing. Of course, I need to define what I mean by assets. Usually when we talk about community assets, we mean buildings. On reflection people may add a few other things such as a mini-bus or play equipment but normally assets mean buildings. I want to challenge this view in two ways. The first is perhaps more superficial but still important. Assets can be liabilities. Anything that requires investment of time money or passion can become a liability. It can be a drain on resources. For all the effort invested it is possible you won’t see the benefit you expect. From my experience I can think of examples of buildings that have worked for communities and buildings that have not. I have seen buildings divide a community as local people wrestled for control. I can think of several examples, to the extent I would argue this conflict is the most common outcome for a community that owns a building. Perhaps this most likely happens with buildings controlled by weak organisations, where two or more factions lay claim to them. Organisations established for the benefit of the community but at the same time independent of the community, perhaps fare better. Their building belongs to them and not to the community. Perhaps an example of a building I was involved with some years ago, where the organisation is strong enough to withstand these power games is The Wesley Centre in Maltby. I haven’t been in touch with them for some time and so don’t know their recent history. However, this looks like a thriving community centre, supported by rental income from small businesses. So, I’ve offered two examples from my experience, with very different outcomes. It is easy to see buildings can be liabilities as well as assets. Loads of well-managed organisations own buildings and many buildings offer benefits to local residents. The point is they are not guaranteed to be an asset and can just as easily become a liability. There is a deeper argument against viewing buildings as assets. What do we mean by assets? Too often we set off asking the wrong questions. Buildings can be an asset in the technical sense of bringing value to its owners and they can be an asset to the wider population if they bring a perceived benefit into an area. However, buildings and other equipment are not the only types of asset there are. Indeed, I would argue the assets behind a building that works are the assets that matter. It is not the monetary value of the building so much as the contribution of the organisation that manages it. If only we could find the assets that make building ownership successful and isolate them! Maybe we would find they work as assets even without owning a building. the stories and heritage of local places. Over the next few weeks I shall explore these in turn. They are part of my spirituality sequence but could equally be in the community development strand. Why spirituality? Well as I explained in an earlier post, spirituality is essentially about paying attention. All these assets imply a commitment to a place and digging deep to discover the assets already present. I am not very familiar with ABCD and intend to read more about it. However, I thought it would be interesting to explore these six types of asset from my experience and then perhaps compare my notes with the findings of those who practice ABCD. So, next time I shall explore local residents’ skills. A post this week, about the presence of development workers in neighbourhoods, mentioned imbricated roles. A search for the term showed me it is not present online. Google claims they are the same as nested roles. A nested role is one job within another. Perhaps this happens where the job description for one job has other related tasks added to it. The new role may have additional privileges, eg higher pay but contains an older job. Imbricated roles, especially within community development, describe how two functions overlap. So, a local resident employed as a development worker in their own neighbourhood has a highly imbricated role. Note being a resident is not part of the job; their appointment may be because of their knowledge of or commitment to the area but it is not a formal part of the job description. It would have been helpful to re-read their section on imbricated roles but that won’t stop me! I favour sticking with the term imbricated roles because I think it makes a specific point about development work. What are the implications for varying degrees of imbrication? This is not about deciding the ideal degree of overlap so much as assessing the pros and cons of differing amounts. I understand imbricated role to mean specifically overlap between residence in and commitment to a particular neighbourhood with the formal role of development worker. It is easier to follow if you assume by formal role, someone appointed to do the job by some independent authority. There may be other types of overlapping role. A rural doctor may find, for example, their circulation around their patch means they play several roles in addition to their medical role. But I shall use imbricated role to mean a specific commitment to the neighbourhood which at one extreme means residence in the neighbourhood. To illustrate why this is important I shall consider four degrees of overlap and their strengths and weaknesses. These percentages are notional but this degree of overlap strongly implies the worker lives in the neighbourhood where they are practicing development work. 100% may be someone born there and living their life in the same place. 75% may be someone who moved into the neighbourhood when they started to practice as a development worker. Many workers choose to do that. Of course living there can mean a variety of things. The worker could move into housing in some out-of-the-way corner, or in an adjacent neighbourhood. They might live there but not make a big thing of it and spend a lot of their time elsewhere. The big strength of this approach, especially for the lifelong resident, is stability. This is someone with a proven commitment to the place, trusted and so able to act as a catalyst for change. However, there are disadvantages. Potentially the biggest problem is role confusion. If the worker is not clear about the difference between community activism and development work, the chances are they will find they are paid to be a community leader, the role played before employment! This role confusion has he dual effect of (1) undermining the activist role, and (2) downplaying the development role. Perhaps this approach works for some. From experience, I would not recommend workers take on this type of overlapping role. Mostly they need more distance. Here the worker is not resident in the neighbourhood but spends a lot of time there, drinking in the pubs, participating in events, etc. They may live outside the neighbourhood, far enough away to experience some distance. Most workers find they drift into this degree of overlap because they might have moved into the first neighbourhood they worked and then their job moved on and they were happy to stay where they were. Where a worker enjoys building inter-personal relationships, this approach may work very well. They have some distance from the neighbourhood, perhaps enough to be perceived as an outsider but also likely to be trusted. The temptation is to identify too closely with activist work. Many workers find they are doing admin for local groups or participating in leadership roles. I found it is too easy to be drawn into taking on roles that should be occupied by local people, perhaps because the worker is one of the most skilled people around and has the time to do it. This level of overlap implies someone who committed to developing a particular neighbourhood and approaches it by mentoring community leaders. A development worker of this type will stand out as different from the local residents. I found I was more successful when I wore a jacket and tie in my development worker role. It reminded residents and other local workers that I was an outsider with a specific role and it also reminded me. This approach does not imply reduced commitment to the work, it is an alternative approach and perhaps better suited to the more introverted worker. It does have the big advantage of making a clear distinction between the development and activist roles. The big disadvantage, as the degree of overlap declines, is disengagement from the neighbourhood. Finding a balance between an outsider who brings new ideas and resources to a neighbourhood and someone delivering a government scheme is really important. There is a fine line between development work at this level of overlap and simply being a worker in the community. At first this degree of overlap may seem to be a non-starter. There are any number of workers in the community placed there for a few months to deliver some scheme. Their focus is in delivering their employers’ programmes and not local development work. However, an example of someone who rarely or never visits the neighbourhood and yet has a development role might be the manager of a community development team. They might care about several neighbourhoods and act as a mentor for their team. I have suggested in my ebook, Community Development is Dead!, the future of development work is centrally based teams with no-one assigned to specific neighbourhoods. They would work by supporting local leaders or activists. They would visit a neighbourhood to help with the design of events or activities but the networking would be largely carried out by local activists. A similar role might be carried out by an online development worker who coaches local activists. These may be in communities far away, they are never likely to visit. Can this work? The potential disadvantages are obvious. The development worker would not develop the networks of contacts, the relationships that result in successful development work. This would be and possibly should be a task for local activists. Certainly it is hard to see how this might work for someone with no experience of working on the ground. But existing practitioners and even retired practitioners may be able to contribute something of value from a distance. I have attempted to present each degree of overlap in the most positive light possible without denying the disadvantages. The point is to show what is at stake. Each degree of overlap has strengths and weaknesses and it is important the worker understands the dynamic of their chosen approach. It certainly is not a given that the only valid approach is to live there. Development workers soon find the work is simply not that simple. So, what percentage would you assign to your approach to development work? What do you see as the advantages and disadvantages of your chosen approach? In this final post in the current community development sequence, I discuss community development in the future. 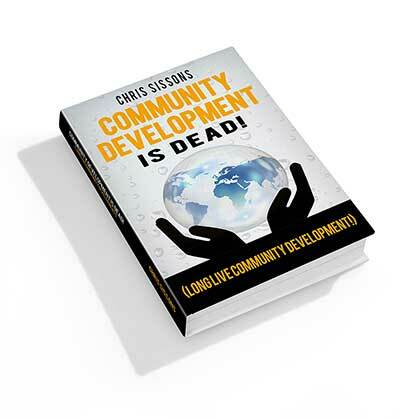 My ebook, “Community Development is Dead!” (see below) is my account of the current state of community development in England. Other places recognise many of the issues we experience in England. The problem is not funding. We have seen a decline in support from local authorities and churches over the last 20-30 years. However, even this is a symptom of the decline in support for community development in England. The real problem as I explain in “Community Development is Dead!” runs deeper. The failure is systemic. It stems from the failure of development workers to make the case for community development. There is no career structure for development workers. It is predictable, as money becomes scarce, activities unable to make a case for themselves will suffer. This is the mindset that sees community development as a luxury, something we cannot afford in a recession. Community development as an amateur pursuit, a view supported by the lack of career structure, means experienced workers move on to other better paid activities, leaving inexperienced workers unsupported. We need to reconsider the way we do community development, by placing activists at the centre and asking how to support them. In future, fewer workers will be less likely to work in neighbourhoods. One alternative may be online work, where development workers can provide support through online consultancy. This will differ from traditional development work because it implies activists supported by development workers will do most of the work previously carried out by development workers. So, for example, a situation analysis might be carried out by local people. The development worker might help them plan their analysis and guide them as they accumulate information. Some will argue development workers will be less equipped to do the work if they are not doing local research themselves. Others may argue this is exactly what local activists should have done in the first place. As an online community development worker, I can provide support to several projects, anywhere in the country at far less than the cost of employing a full-time worker. This might enable groups to employ administrators, for example, if they have funds and help them become more effective even with relatively few resources. Can this possibly work? I believe it can and a few pioneers can develop this new approach (and indeed other new approaches). If this new approach catches on, quality will become important. Practitioners who choose this new way of working will need to organise to agree standards and a career structure for workers. As my generation moves towards retirement, where is the next generation of experienced workers going to come from? There is likely to be more than one answer to this question, as practitioners attempt various approaches. This blog is “Community Development Online” and so everything on it relates to community development in some sense. I’m sure I shall return to this sequence in the future but for now I shall be moving onto a new topic. Take a look next Wednesday to find out what it is! How do we marginalise local activists? Are activists really somehow inferior to development workers? Some people argue it is unfair to deny activists the opportunity to train as a development workers but why so little training for activists? There are no equivalents to community development National Vocational Qualifications for activists and this devalues their role in consequence. By all means, provide training for activists who want to become development workers but most activists do not become development workers and their unique and central role should be recognised. Vocational qualifications for activists are perhaps inappropriate as activism is essentially a voluntary role. However, activists use the same skills in paid employment and so there is a vocational dimension to activism. Activist training should not focus on vocation but certification can bear vocational applications in mind. It is important to recognise activists’ unique and central role in communities. I’ve been an activist for most of my life and did not stop being an activist when I practiced as a development worker. I found it important to understand they are different roles and you can’t effectively be both at one time. I found my performance improved as a development worker when I dressed differently in the role. My jacket and tie reminded me and the activists I worked with that my role was different. In my home community I was an activist. working alongside other development workers. This works for me, other development workers find different ways of being clear about the role they inhabit. Training for activists should be developmental, by which I mean “learning by doing”. It may be necessary to pass on some theory but the topics and approach should be as close as possible to real life experiences. Activists in training plan, execute and evaluate their activities. This way they set their own agenda without the need for outputs many professional trainers bring to community work. Activists effect change. They’re hands on people; paid or unpaid entrepreneurs. Some may legitimately use their activities to generate personal income. So, for example, a café owner might encourage local groups to use their café for their meetings. I appreciate this may seem to be heresy but I do want to emphasise that running a community group is only one way activists can effect change. We have overlooked the role of small businesses, for example, in bringing about change. Do we really need more than one community development worker per city? Perhaps it depends upon the size of the city but a small team is all a city needs to provide the necessary support. And they should never talk to funding bodies on behalf of the groups they support. It would be interesting to work out how a small development team might be supported without direct grant aid. In the States, they fund organisers through dues paid to citizens’ organisations. This never took off in Britain. But buying in development support could be part of any grant application. Community organisations could then pay a central team for the services they receive. We need activists and we need a few development workers to support activists. Another important type of support activists need is administration. Many community workers, dedicated to a particular neighbourhood, end up doing administration for activist groups. It is a waste of resources to pay a development worker to do administration. I suspect the reason this happened so much is funding bodies are reluctant to fund administration and so fund more expensive development workers who spend most of their time doing administration because that is the work that needs doing. It is incredible that it is so difficult to fund administration. If there is one thing that would transform community work in the UK, it would be ready access to admin support. Even if there are people willing to take it on voluntarily, there is always plenty more people can be getting on with and a good administrator can enable a lot of work simply by being there. A central development work team could provide administration as a part of their services. This might at least bring costs down, by removing the need to employ an administrator directly but it is not immediately obvious how they would be paid. My ideal model would recognise activists as central to neighbourhood regeneration. They need some developmental support and a small central team in any urban area should be adequate to provide it. When activists organise they need administration support. This is cheaper than development support and funding bodies should recognise it as a valid response to local needs. This puts activists at the centre, recognising their central contribution. They need development support but by relieving development workers of the burden of doing their admin, most places could manage with smaller teams over larger areas. Administration can be found in creative ways. A neighbourhood with a delivery organisation could perhaps dedicate time to supporting the representative activities of the local activists and perhaps the planning activities of a local partnership. Anything else is a project and needs to be run by a delivery organisation. My model for community development helps clarify the support activists need for their activities. So, what do you think? Do we undervalue activists? What support do they need? My father was an entrepreneur. He started as a sheet metal worker in Sheffield during the fifties for about 30 years until his health meant he had to stop climbing on roofs. He was a problem solver and perhaps I inherited this from him. Given a problem, he would design a solution and then make it in steel. In the early eighties he complained whichever government was in power they neglected the welfare of small businesses. The Labour Party (my father always voted Labour) saw employers as villains who should be taxed to provide welfare for the workers, whilst the Conservatives for all their rhetoric, support big business and have little concern for small entrepreneurs. Marginalisation of small business is deeply rooted in our culture. Schooling prepares children to be employees. Whilst many jobs have disappeared we still train children to be workers. If you want a trade, something you can practice in your own right or at least turn your hand to when you’re out of work, then you have to work it out for yourself. Perhaps we’re suspicious of entrepreneurs because our experience of the big ones is so negative. Go back to the nineteenth century and whilst there were problems in the mills, eg low pay and poor health and safety, the mill owners lived near their mills and contributed to their city. In Sheffield the names of Firth, Brown, Ward, Graves are well-known because their names are all over the buildings, parks, art galleries, etc they contributed to their city. Compare them to the mill owners today. They are rentiers, meaning they own businesses to make money through speculation. They have no direct interest in the purpose of the business. Many don’t live in this country, often living abroad for tax purposes. They use legal tax avoidance to salt away their profits for their own benefit. Still, there are many small traders; self-employed people making a precarious living. They contribute to their local economy and make a greater contribution when they know their business is sustainable. So why doesn’t the local economy feature in our thinking about community development? Community audits rarely cover the local economy. Do what I’ve just done and Google “community audit”. Search whatever you find for mentions of economy, shops, finance … The nearest you’re likely to find is employment. A community audit can involve local businesses but in all the audits I’ve seen the economy is almost invisible. Churches for example focus on the very young and very old and then wonder why the economically active don’t appear at their services. Tesco recently opened a massive supermarket in my neighbourhood, one of the biggest in Europe. Its local contribution is significant – I use its toilets regularly! When it opened in November 2011, many predicted local shops would close. So far local shops, including 4 small supermarkets within a couple of minutes’ walk are still open. They’re struggling but survive. How? Because the Muslim community have put heart and soul into building their own economy. I don’t know how they’ve done it and suspect a lot of unemployed family members work for almost nothing. But they’re making it work. They’re creating a community to their own model and that is an option open to all of us. Remember not all local businesses are traders (and indeed not all are small). How many self-employed people in your area work from home, perhaps with customers all over the world? How do you find out about them? Where are small businesses building the local economy in your experience? How are they doing it? Who is visible and who invisible? It is easy to forget why supporting community activity is important, when there are big plans on the table. This post highlights some of the pitfalls. During the eighties, I attended a workshop about Community Development Corporations (CDCs), led by two Americans. CDCs are similar to what we call Community Development Trusts in the UK. The representatives of foundations are business people seeking deals with local people. The aim of a similar meeting in the US would be to help activists and foundations make business deals. The professionals who attend this type of meeting in the UK would, in the States, be back in the office! The local activists attend the meetings and negotiate with the foundations. I have rarely seen anything like this in the UK. Grants, contracts and loans fund community development, promoted by professionals who have little at stake in the communities they claim to represent. Social entrepreneurs are perhaps the closest we come to the US approach but many social enterprises are still grant orientated. This has major disadvantages. How many social enterprises have failed because they received up-front funding before they had built a customer base? They fail when their funding runs out before they can build their own income stream. The grant making body does not treat the grant as an investment and so has little real interest in the outcomes apart from requesting an evaluation report. makes social enterprises dependent upon grants, contracts and loans, all tied to the objectives of the body that awards them. Grants, contracts and loans have a role but when they dominate the funding scene they distort how local organisations function. Development workers need to equip local activists to take on entrepreneurial roles in community. Can you think of examples of social enterprises financed too soon or where finance has helped them grow? Non-directive consultancy differs from the other participative methods because it is an arrangement between a consultant and a consultor, usually one person. It is not usually an activity for a group, although it is possible for the consultant to work with a few people from the same organisation. See my previous posts about consultancy for resources about this method. Usually organisations pay consultants to do research, planning and / or design because they lack capacity to do the work. The consultant is the person who does the work because the consultant is the expert. 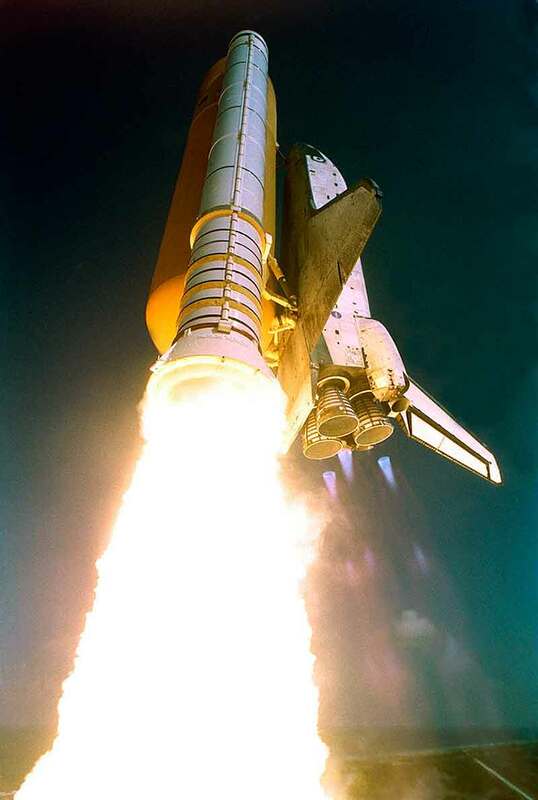 Space shuttle Atlantis a booster analogy that probably breaks down if you push it too far! With non-directive consultancy the consultor is the expert and does the work. The consultant boosts the consultor’s brain power. The consultor knows the situation better than any consultant and so the consultant’s role is to help the consultor think things through. This approach is sometimes called coaching. The task might be analysis, design or problem solving. The consultant might have specialist knowledge, although this is not essential. So, I use non-directive consultancy as an approach to website design in a community development context. Whilst I may know more about web design, the consultor knows more about the purpose of their organisation and their website. The consultor is often unaware of how much they do know and the consultant’s task is to help them access and apply their knowledge. Where I can use my specialist knowledge of website design and community development it is always to help the consultor as they work on their own task. The project is always in the hands of the consultor and the role of the non-directive consultant is to provide the consultor with approaches to problem solving they need to complete their task. George Lovell developed non-directive consultancy in the context of church and community work. He identified four types of issue workers might encounter, based upon community workers’ experience. Situations, where usually a new worker needs help to understand their new neighbourhood and plan their work. Projects, where the worker has an idea and needs to design a project to implement the idea. Problems, where the worker encounters external issues that throw their work off course. Many of these problems are generic, in the sense other practitioners experience them too. For example, recruiting and retaining members. Cases, where the problems are internal and usually amount to break-downs in relationships. These can be difficult because the consultor will often know or suspect that they are personally responsible for the break-down. More information about these can be found in my series of posts about non-directive consultancy. It may seem obvious these can all be used to mentor new workers. In practice, all workers benefit from non-directive consultancy support and many experienced workers continue with this type of support. Similarly, development workers can use these approaches with activists in their neighbourhoods. Have you had experience of working with or as a consultant in community development? Why do you think your consultancy worked or failed? Leave a comment to let me know what you think! Citizens’ Organising is immensely powerful in the United States but is not established in the UK. However, I suspect many development workers pick and mix insights from citizens’ organising and so it has not been without influence. You can find out more about the history and background to Citizens’ Organising, including some reference works in my post Citizens’ Organising. I took Citizens’ Organising leaders’ training in 1992. Whilst I had issues with their whole package, much of what I learned has been helpful in my community development practice. The method is not written down anywhere because citizens’ organising is passed from practitioner to practitioner; by mentoring not study. Be aware there are sound reasons for this. Old church buildings can still contribute to the community. 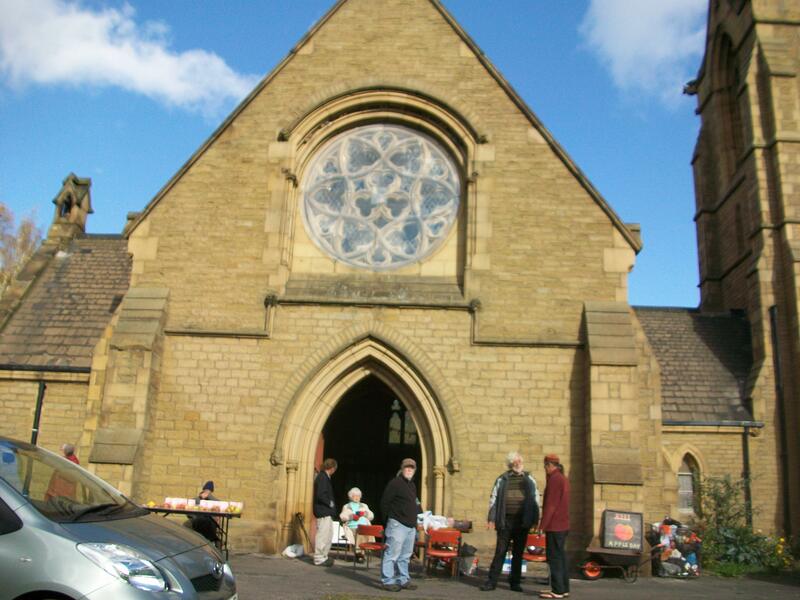 Friends of Burngreave Cemetery organise events for local residents from the old chapel. So, in Britain we have not yet developed an approach to organising that suits our own culture. I’m not sure it is possible if the churches are unable to provide support equivalent to churches in the US. How would you apply these principles in the UK? Use comments to tell me what influence organising has had in your community. Perhaps you live somewhere where there is still a citizens’ organisation. If so, how do you fund it?